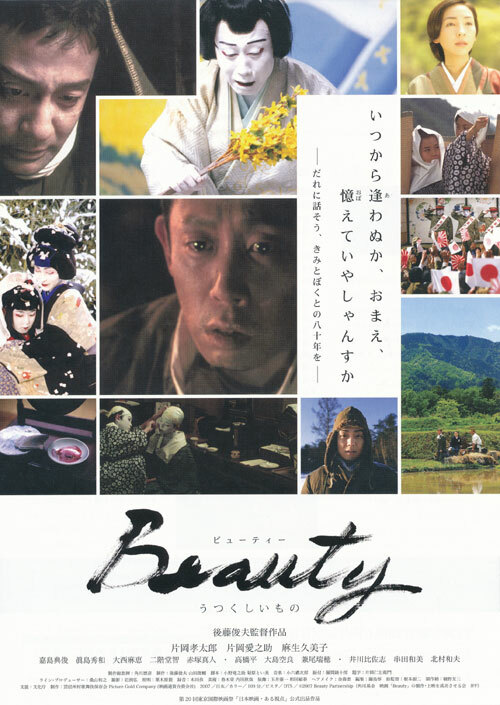 A story of love and friendship between two young boys who dedicate their lives to local kabuki. Before WWII, harvest offering plays hold up the town abound in a village deep in the mountains called Inadani Valley. Hanji, a wood cutter protege, admires leading children’s kabuki actor Yukio and begins to study kabuki. According to Yukio’s request, Hanji undertakes an “onnagata” or female role. As a result, Utako, Yukio’s partner up to that point, loses the role of heroine. But this kind hearted girl continues to look after the boys. Eventually, both are dispatched to war and endure cruel hardships including a labor camp in Siberia. Hanji, who has returned home alive, carries out Yukio’s dying wish playing a leading role in more ways than one and then Hanji and Utako become star couples on stage. But suddenly one day, they learn that Yukio who they thought was dead is alive. Blind and guilt stricken from the sins of war, Yukio refuses to return to their town. But Hanji’s ardent pleading gets the best of him bringing Yukio back to the town stage. Yukio and Hanji dance together once again. As the dance ends, Yukio takes his last breathes. Forty years later, Hanji gives his retirement performance. An elderly Hanji dances overcoming the age old emotional scars on the all-too-familiar boards of the stage dedicating his final dance to the past beautiful loved ones in his life.